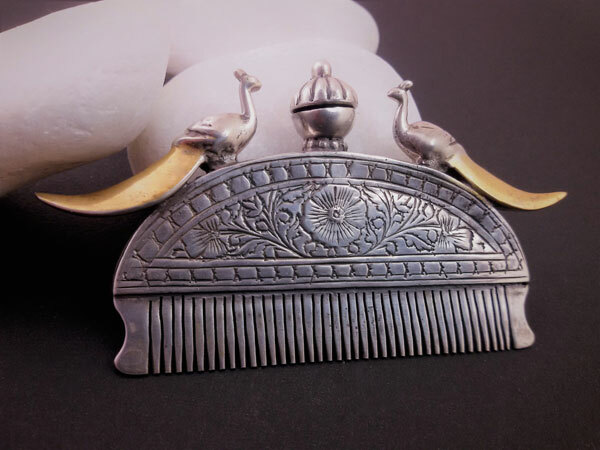 Old Rajhput ethnic comb of silver and gold. 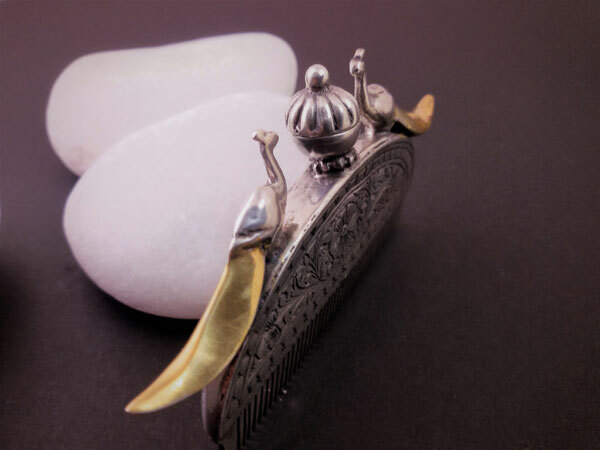 Two gold plated peacocks perch atop this antique Sterling silver com made in Rajhastan in North India. The handle is a reservoir for scented perfume oil dispensed through tiny holes as the comb is drawn through the air. A cap between the peacocks screws out to allow the handle to be filled. Measure 4" wide and 3" high.